1. 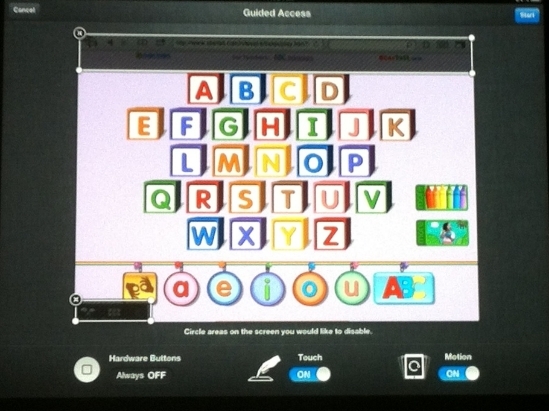 Guided Access must be turned on in Accessibility Settings under Learning. 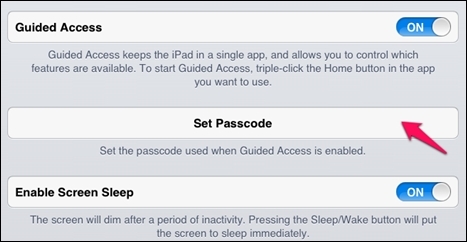 By default, Guided Access is activated and deactivated by triple-clicking the home button. This does not need to be turned on. 2. 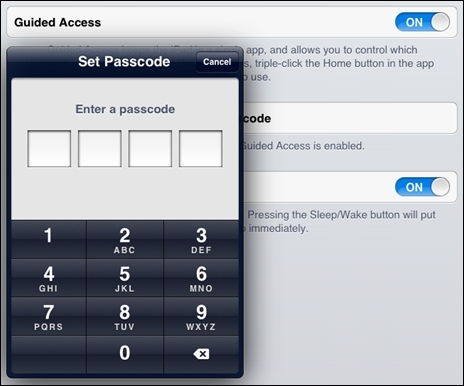 Once Guided Access has been turned on, a 4-digit passcode must be set. This code must be entered whenever activating or deactivating Guided Access. 3. Guided Access must be activated from within an open app. Once activated, boxes can be drawn around parts of the screen that the user will not be able to access. These boxes can be drawn with finger or stylus. All hardware buttons are deactivated when Guided Access is on. The touch screen and / or motion-switching may be deactivated. 4. 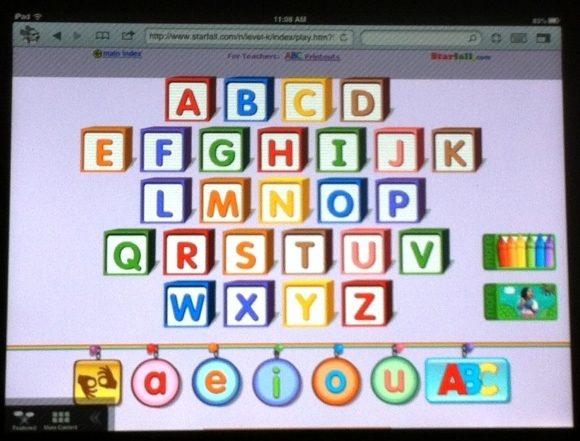 The user does not have access to the grayed out areas of the screen, once Guided Access is turned on. Nor can the user leave the app and open another.